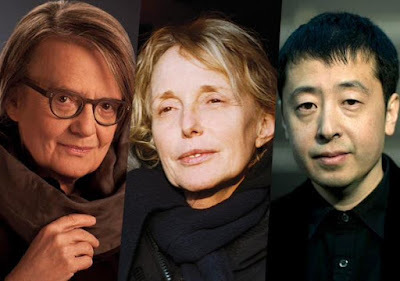 Inspired by Jia Zhang-ke’s groundbreaking film, Platform will shine the spotlight on up to 12 films of high artistic merit that demonstrate a strong directorial vision. The film lineup will be announced in the coming weeks. Jia Zhang-ke was born in Fenyang, Shanxi Province, China, and studied at the Beijing Film Academy. He made his directorial debut with the feature Xiao Wu (1997). His subsequent films have all screened at the Festival, including the documentaries Dong (2006), Wuyong (2007), and I Wish I Knew, (2010) and the features Platform (2000), Unknown Pleasures (2002), The World (2004), Still Life (2006), 24 City (2008), and A Touch of Sin (2013), which won the Best Screenplay Award at Cannes. Mountains May Depart (2015) is his latest film. In 2005, TIFF Cinematheque presented a retrospective of his work titled Unknown Pleasures: The Films of Jia Zhang-ke. Claire Denis was born in Paris, raised primarily in West Africa, and graduated from France’s Institut des Hautes Études Cinématographiques (IDHEC). Many of her films have screened at the Festival, including her debut feature, Chocolat (1988), the documentary Man No Run (1989), the features No Fear, No Die (1990), I Can't Sleep (1994), Nenette et Boni (1996), Beau travail (1999), Trouble Every Day (2001), Friday Night (2002), L’intrus (04), 35 Shots of Rum (2008), White Material(2009) and Bastards (2013), and the short Voilà l'enchainement (2014). She is currently co-writing her next film, an English-language science-fiction feature, with Zadie Smith. In 2013, TIFF Cinematheque presented a retrospective of her work called Objects of Desire: The Cinema of Claire Denis. Agnieszka Holland was born in Warsaw, Poland. Her first feature film, Provincial Actors (1979), won the FIPRESCI Prize at Cannes. Many of her films have played at the Festival, including A Woman Alone (1981), Europa Europa (1990), Olivier Olivier (1992), Total Eclipse (1995), Washington Square (1997), The Third Miracle (1999), Julie Walking Home (2002), Copying Beethoven (2006), In Darkness (2011), and the HBO miniseries Burning Bush (2013). Her other credits include the features Fever (1980), To Kill a Priest (1988), The Secret Garden (1993), and episodes of such acclaimed television series as The Wire and House of Cards. She is a frequent guest of TIFF, having recently participated in an In Conversation With… event and introduction and Q&A of Washington Square at TIFF Bell Lightbox in 2014.